Find one thing that if you did it every day, would ensure that you move forward, and then make sure that it happens every day. 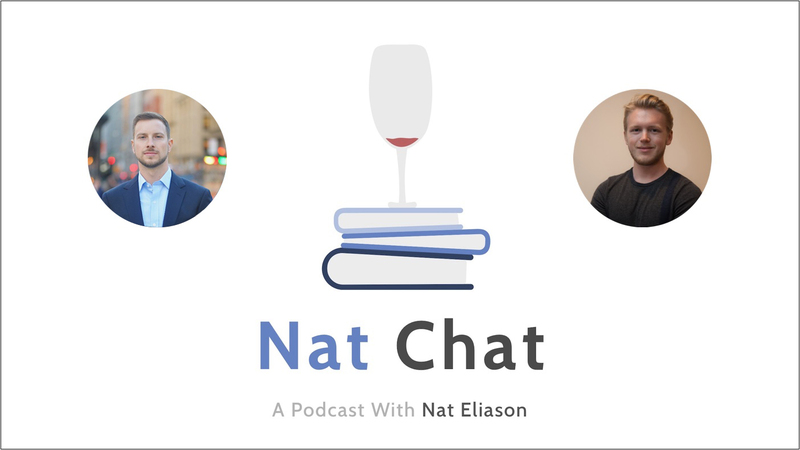 In this episode of Nat Chat, I’m joined by Chris Sparks. Chris shares his story with getting heavily involved in poker while still in college. Chris had planned to get into advertising but instead went all in with playing poker. After a year, he was living in a multi-million dollar mansion in Los Angeles up until 2011 when the US shut down online poker, seizing all of the money that he and his friends had in their exchanges. He went to London, continuing to pursue poker and travel, but soon began getting into more entrepreneurial projects. Currently, he’s now a high-end productivity coach. Chris is an excellent person to emulate for those wanting to become highly productive and efficient, as well as successful. And much more. Please enjoy, and reach out to Chris on Twitter! If you enjoyed this episode and our discussion on self-education and entrepreneurship, check out my episode with Zak Slayback, as well as my episode with Connor Grooms. 1:30 – Intro to Chris, a bit of background on him and his story, and why he currently won’t go back to the UK. 7:24 – Chris’ time in Europe, what came next for him after getting out of the poker scene, and how he got into more entrepreneurial projects. 9:50 – Chris detailing his two-year traveling experiences and working on his bucket list. Also, some of the major things he did while traveling and detailing some of the powerful lessons that he learned. 12:57 – Chris’ really interesting story with poker and becoming one of the top twenty professional online poker players in the world. Also, his original career path and what made him stray away from that, eventually to consider playing poker as his full-time job. 18:25 – Chris’ experiences in Brazil and some life-changing moments he had there. 21:00 – How Chris learned to play poker so well, what that process looked like, and how you can emulate this to improve your own learning abilities. 24:13 – Chris moving to LA from Detroit with some of his closest poker friends, him detailing some crazy stories from that, and then going on to live in a multi-million dollar mansion there. 29:23 – How long Chris lived in that mansion, his experience with losing most of his net worth to the government, and his reaction to getting the news that the US banned online poker. 34:26 – Some of the first things that Chris worked on with various entrepreneurs in productivity coaching. 38:07 – Some productivity and prioritization advice from Chris to others. 44:24 – Chris’ personal system for reflection and system improvement. Also, some tactical pieces of information and advice that you can apply to your own life. 54:03 – Wrap-up and where to find Chris online.